People over the age of 64 are 2 times more likely to die in a home fire. Keeping mature adults safe from the dangers of home fires is the focus of this fire safety presentation card. The card begins with statistics related to home fires and mature adults, including an explanation for why mature adults are more susceptible to the dangers of fire. The next section of the card addresses the importance of installing and properly maintaining smoke alarms on every level of the home. Smoke alarms are the first line of defense against fire, providing an early warning that can be the difference between life and death. 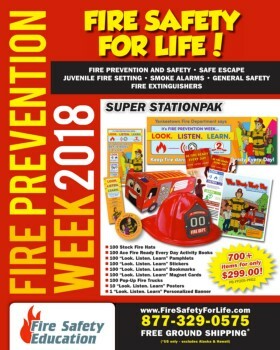 The card has information on the importance of planning for a fire emergency, including several potentially life-saving fire safety tips. Special considerations for the evacuation of high-rise buildings are also included. The final sections of the card present prevention information focusing on specific areas of concern around the home including: cooking, heating, electrical and smoking and candles. 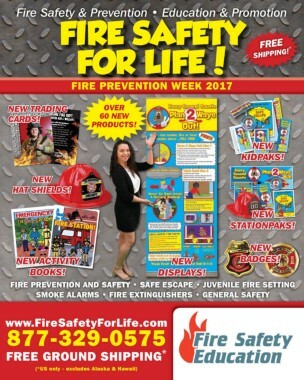 The card ends with a call to action, reminding the audience to "Practice Fire Safety for Life! To see a full PDF version of this presentation card, click the Instant Preview tab above.